Location: Located towards the center of the top of the head. Attributes: This Chakra is the gateway to pure consciousness and the connection of source (ALL THAT IS). Alignment: When in balance you find yourself living in harmony and connecting with all life both physical and spiritual. 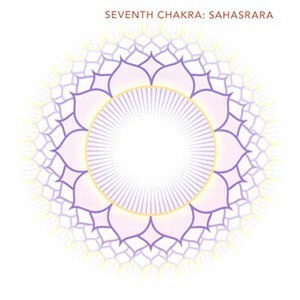 Here we have reached the final Chakra within this seven-part series of the Seven Chakra energy system. 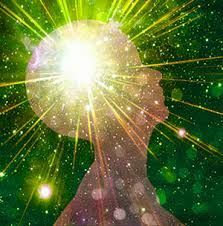 The seventh or crown chakra gives way towards understanding the higher consciousness, yet at the same time has remained connected to the first or root chakra with its grounding and connection with Mother Earth. This journey between all seven chakras enables the spiritual energy that is part of the physical body, to not only understand our physical attributes but along the way we are able to connect and reach towards the higher states of awareness. This is why it is important for all of the seven chakras to connect, balance and align together if we are to attain our connection with these higher realms towards pure consciousness. We have seen how each chakra has its own part to play in our physical, mental, emotional and spiritual evolution. Each chakra has given us ideas of our strengths and weakness but showing what areas we need to work on in order to obtain the maximum benefits not only for that particular chakra but for all chakras as a whole. Now as we enter the seventh chakra we are able to make that final connection which will form the great picture of life. Not with the physical eye but from within. As we have seen before, the heart chakra is the gateway between the lower three physical and the upper three spiritual chakras. The crown chakra helps to reveal the pathway towards connecting with higher consciousness however to reach this, the journey begins with you. When in balance you will find a greater sense of understanding and correlation with the functions of physical life along with the spiritual life. There will be a sense of awareness, acceptance, divine love, and oneness with all life. You will find acceptance with the world as it is meant to be. That is to love the world because you are the world. For if you cannot love yourself then how can you love the world that is you? When there is an over-balance you may find that one can become overly spiritual to the point they have forgotten that they are still part of the physical world. For some, there can be that uncomfortable feeling of living in the physical world yet finding greater comfort in focusing as much as possible within the spiritual environment. As such this can show so imbalance with the root chakra in not being fully grounded and perhaps slight adjustment may be needed with the lower of the three physical chakras. When there is an underbalanced crown chakra, you may find a loss of connection with the Universal source or the divine plan of creation itself. There may be the result of a lack of faith in your life or even meaning to your current life course. This may result in being unwilling or having a lack of trust in allowing the natural course of life to flow freely. The whole system means being part of each other. When all seven chakras are in alignment with each other then this is where you can see the complete picture towards your pathway in life. Although each chakra has certain attributes associated with it being in a state of balanced or otherwise. Due to their connection as a whole, certain attributes can create a state of dis-stress or dis-ease within another chakra including the higher chakras. Now the Crown Chakra may relate more to the higher state of consciousness it is still part of the Seven Chakra system. Therefore issues arising from another chakra can and will affect the crown chakras ability to fully focus on attaining the higher state required to connect with pure consciousness. We have seen from the above issues relating to the crown chakra with it being over or underbalanced. Here rather than saying a particular issue is due to a lack of grounding there may be other factors for the Crown chakra being out of alignment. This is where one needs to look at the reasoning for this which can very much be the result of one or more chakras that has created this issue. Let’s take a couple of examples from what was mentioned earlier regarding being over or underbalanced. That feeling of living in the physical world as described in the overbalance section can be brought on. The fear can be a result of not being able to stand strong within you (solar plexus chakra). As a result, can affect your emotions (sacral chakra) due to the fear of going forward towards the higher consciousness that the physical mind and Ego are not certain of. The loss of connection as described with the crown being under balanced can easily be the lack of proper connection with the heart chakra in balancing both the physical (lower three chakras) to that of the spirit (The three higher spiritual chakras). This lack of faith can again be the uncertainty of the self, that can be affected by the root chakra, the heart chakra with trust as well as the solar plexus chakra in not having the strength to go forward with conviction and belief in oneself. As you can see that there could be other issues relating to the cause of this. It is not always about the base Chakra when it comes to being grounded and connecting to the many facets of life. Although such issues can be related to a particular chakra, as a whole, it can easily affect the alignment of the crown chakra from fully connecting with the higher state of consciousness. You are still able to connect the higher realms during meditation however, there will always be something holding you back from fully going forwards as it was meant to be. That is why is it very important to focus and maintain a balance with all chakras. Whether you do this by meditation on all seven chakras or work on individual chakras one at a time that is entirely up to you. As long as you are focused and ensure all chakras are functioning as planned, you will be able to make giant leaps forward in connecting to your higher self and to the pure consciousness of ALL THAT IS. There are many different forms and ways to balance your Crown chakra and find yourself from within. Some may involve crystal, color or reiki healing along with meditation to other means which can help to activate the energy of the divine in order to flow truly to who you are. One of the best ways to balance your Crown Chakra and finding yourself in the great spiritual plan of life is via meditation. There are two main schools of thought when using color in balancing the crown chakra. The true color of the crown chakra is violet. This is a powerful vibratory energy that can dissipate negative energies as well as strengthen and raise your energy vibration towards higher states of consciousness. Both will work well in wondrous ways as they are both powerful energies of that emanate from the divine. The choice you wish to use is up to you. Normally Violet would be the color during meditation when balancing not only the crown chakra but can also be used in releasing negative energies that may be present in the body system and surrounds. Another color that is used is focusing on the white color. The White light is the purest of energies; as such it is used in various ways such as protection over the whole body. When we say the whole body, this also includes the aura and the many other energy bodies that are part of the whole from the physical right up to the spiritual. The white light can also be used by channeling this energy into the crown chakra. As this white energy is activated it travels down starting from the Crown down to the Root chakra. This method creates that spark within (you could say it lights the beacons within,) in doing so, as it reaches the ground it connects with Mother Earth. This creates a reaction in which the energy of the white light along with the energy of Mother Earth then travel back upwards to activate the spinning wheels and re-activates and powers the energy each chakra possess into action. As the energies travel back out the Crown Chakra the white light returns back to pure consciousness while the radiating energies of Mother Earth form a protective and healing layer around the body system. Work with both methods and see which is or feels more beneficial to you. Apart from using the two colors mentioned above, Violet and White, color can be used in many other ways to balance your chakras. One way is to wear some form of clothing using the color violet. As mentioned in other chakras on this website it is best to set an intention as you are getting dressed for the day and when putting on that particular violet item state your intentions so that the vibratory energies are present and working when in need during the day. Regular intention setting like this can be very beneficial in as much as you would write down your intention. Remember it is more so what you think, feel and say to the universe that will bring the results and for this to occur in the best of ways to remain in that vibratory thought pattern knowing the universe has your back. Crystals such as Amethyst, Clear Quartz Crystals are probably the two most powerful and beneficial crystals to use with the Crown Chakra. The clear quartz crystal presents the pure energy and balance of both body and spirit. This crystal amplifies the thinking and thought process, that will enable you to connect with the universal life force when clarity of mind is required. It is also a great crystal to use for the third eye when in meditation. The communication link will be best opened when using this crystal. The Amethyst crystal which has many benefits, one that can help not only balance the crown chakra but allow the energy flowing from the crown chakra to help balance and re-align the other six chakras. Amethyst also makes as a wonderful healing crystal. Amethyst is used for communication (throat chakra) it is great for connecting the third eye chakra to see deeper into the soul. Having amethyst around you will also help enhance the communication with spirit, depending on your personal point of view. Some may call these higher energies as Spirit Guides, Angel’s or Arch Angels while others may see this as a higher source of energy emanating from All THAT IS. Reiki is a powerful form of energy transference using the hands with the use of certain Symbols that Reiki practitioners and Reiki masters have learned to use and harness for the greatest of good to all. Reiki is broken down into two words. Whilst there can be variations in its meaning due to the language interpretation its origin from Japanese and that into English. It is universally accepted that when broken down Rei relates to Universal Life while Ki related to Energy or energy force. So this can mean Universal life energy force. This same energy is the energy that is present in each individual person, where one only needs to learn how to connect and be able to harness this universal life energy. This is Reiki comes into form. Reiki can be used in many ways to help transfer the energy to the body as the qualified Reiki practitioner allows themselves to become the channel by which this universal life energy enters normally via the hands and also can be sent via the Third Eye Chakra. This same energy can be sent distantly to another without the Reiki practitioner being present. This is called Distant Healing, but only practitioners who have attended the 2nd level or degree along with Reiki masters and teachers. For here the 2nd level student is attuned by a Reiki Master and shown the distant Healing symbol that is used along with a few other symbols. Over time some Reiki Master/Teachers have developed their own symbols. 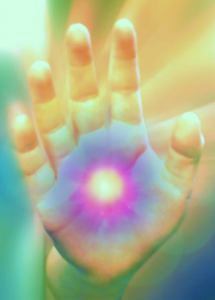 In doing so the Reiki energy sent will direct itself to where it is needed. Remember the Reiki practitioner is not the person doing the healing they are only there as the means by which this energy is being sent. This would also be the same for other hands-on healing modalities. The person is not the healer they are only the receiver of this energy. Added Note of importance regarding healing and healers. One other aspect with regards to the word healing. Regardless of what method is used, regardless of how good that particular person may be with their skills, the energy will not work fully unless the person in need of this energy accepts this themselves. Once accepted and they maintain an open mind then and only then can the healing process begin. So in fact, the healer is really the person receiving the treatment not the person sending the energy to them. This is the same regardless if you go to a doctor or a healthcare professional. That individual may prescribe treatment, medication or other forms of therapy. Yet it will not work regardless of how efficient its use is unless “YOU” the person accepts this and allows the process to happen. If that person partially accepts this, then the healing process will take much longer. and for some very slowly to improve depending on their acceptance. 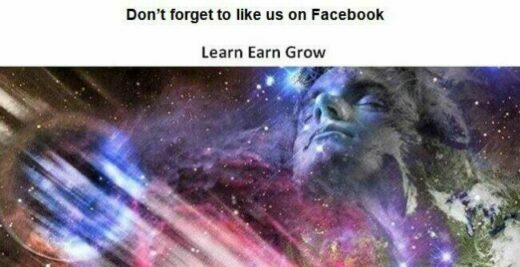 For some, this may take a very long time to improve depending on their acceptance. With most Chakras, there are certain foods that are recommended due to the color that relates to that specific chakra, including the attributes that relate to that area the Chakra is governing. With the crown chakra, foods that relate to the Third Chakra can be used as they are both of the higher spiritual planes. However the best form of food to be taken for the Crown Chakra would be organic, light foods, Foods that would more likely be from nature such and plants and vegetable, fruits. Foods such as meats are heavy foods which would work against the Crown Chakra. In fact, it would work against most other chakras as well. The Root Chakra may benefit but even then it is also best to eat light particularly when meditating or working on balance the chakra. It is also best to eat light, particularly when meditating or working on balance the chakra or being involved in any spiritual work at the time. Many also work on fasting for given days. Good liver detox is very beneficial to take the pressure of the liver and allow it to function properly without the added toxins and other harmful chemicals may pose in many foods and drinks. Alcohol and drugs are also a hindrance to balancing the Crown Chakra. Please share your thought and methods that you may have used to balance the Crown Chakra and which do you feel work best for you and why? Perhaps you have a question on the crown chakra or with some of the methods used both what has been mentioned here along with from what you may have or heard from others that you may have heard of. There are many more methods however to write them all and the reasons for this a book would be more appropriate rather than a post on a website. Who knows this may not be far off either. I would love to hear your comments and I am sure many others reading this article would benefit from the wisdom you have to share.